Formed in 2009 by keyboardist Haneda Narita. The name of the band was derived from Claude Debussy’s piano piece “Passepied”. They have gained attention for their unique music filled with sounds from the ‘70s to the ‘00s, with an excellent music theory background and techniques, and for the art works and music videos created by their vocalist Natsuki Ogoda. They released their first mini-album “Watashi Kaika Shita Wa” in 2011 and the second mini-album “ONOMIMONO” in 2012. On March 2013, they released their first single “Fever” and released their first major label album, the following June, entitled “Enshutsuka Shutsuen”. Since then, they have participated at several large-scale rock festivals and has gained more popularity. They also held a music event in Tokyo and Osaka, the “Insho A” and “Insho B”, which tickets were all sold out for both days. Their first independent live tour in October, the “Insho・Hinode”, and the additional show “Insho・Hinode Gaiden”, were also a success with tickets sold out for all the shows. In March 2014, they released a single “MATATABISTEP/Ano Ao to Ao to Ao” and held their third event “Insho C” with 9mm Parabellum Bullet, clammbon, and Hige as guest artists. Tickets were all sold out in one day. In June 2014, they released their second album “Makunouchi ISM”. Starting in North America and Europe, the album was released in other countries. Their song, “Tokyo City Underground (English ver. )”, became the background music for the movie “APPLESEED ALPHA” of the SF adventure comic series “APPLESEED” from “Kokaku Kidoutai (Ghost in the Shell)” by Masamune Shirow. 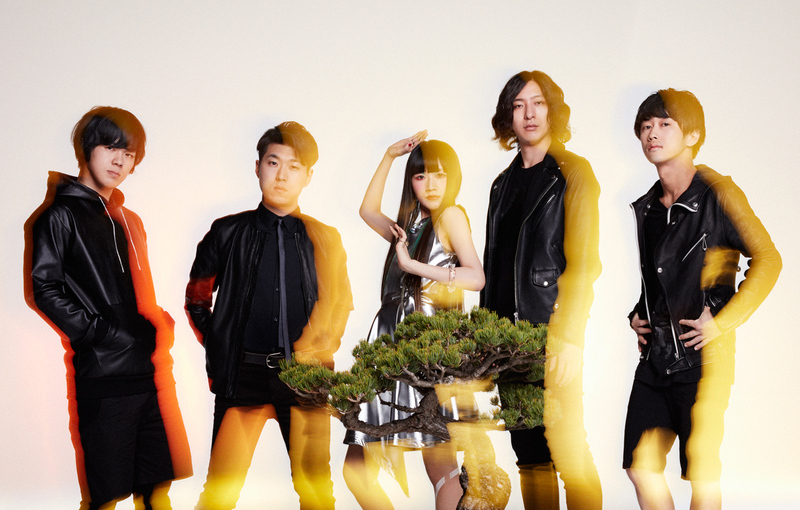 In October 2014, they released an album entitled “MAKUNOUCHI-ISM e.p” on iTunes Store for overseas countries. The album includes four tracks, rerecorded in English, from the album “Makunouchi ISM” and a remix of “MATATABISTEP” by track maker Seiho. From November to new year’s, they held a live tour “Makunouchi ISM” with 15 shows across 14 cities in Japan. On November 15, they made a digital release of their new song “Zeitakuna Iiwake”. On April 29, 2015, they released a single “Tokinowa”, which was featured as the ending song of the anime “Kyokai no RINNE” (written and illustrated by Rumiko Takahashi) on NHK E-Tele channel which aired from April 4. In May, they released a compilation album “OZASHIKI MUSIQUE” for overseas countries and also released an analog vinyl version of “Makunouchi ISM” from Specific label of France. They also participated at the music festival in Europe, the “GREAT ESCAPE”, which became their first time to perform at an overseas festival. In June, they held their fourth musical event, the “Insho D”, with Rekishi as the guest artist for the show in Tokyo, Base Ball Bear for the show in Osaka, and YOUR SONG IS GOOD for the show in Nagoya. Tickets were sold out for all the shows. On July 29, 2015, they released a single “Ura no Ura”, which became the opening song for the NHK E-Tele channel’s anime “Kyokai no RINNE” from July. On September 9, they released their third album “Shaba Lover” with 12 tracks recorded in total, including two past singles. From autumn 2015, they held a live tour “Shaba Meguri” which ended in success with the final show at their first ever show at Nippon Budokan on December 22. On April 6, 2016, the DVD of their concert at Nippon Budokan, entitled “Live at Nippon Budokan ‘GOKURAKU’” has been released. On April 27, they released their fifth single “Yoakemae”.